I went for my last dive of the year as I promised myself, to brace for the upcoming year ending & year beginning tasks, it was also my way of capping this year’s adventure trips. 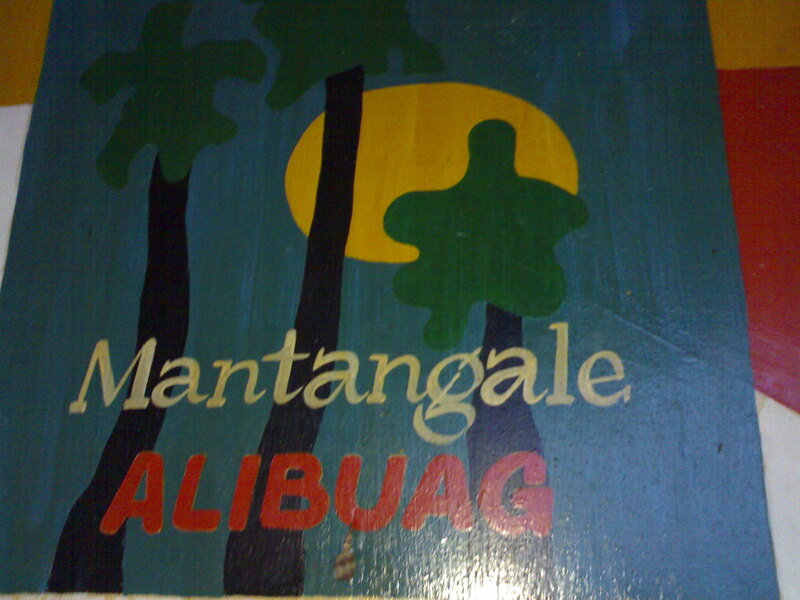 Mantangale would be kinda perfect – not so far, warm staff, amazing marine life and idyllic place. Sometimes when you want something you always find ways to accommodate your whims, and that’s what really happened last Sunday. I squeezed my weekend – skipping laundry & community party and had my Sunday free. I was up early to catch the 6am aircon bus but when I got to the terminal, it was brimming with passengers. Squeezing with other travellers to get unto the bus for a seat is not my fare, but have to do it – I am expected at the dive shop at 830am! The weather was downcast and it was drizzling when I arrived at the resort earlier than appointed time, I was able to have breakfast while observing OWC students having exercises at the pool. Just as I thought there wasn’t much divers for the day, and I was up for some surprise when Sir Dodong announced after a call from SSB radio that Fr. Young is joining us. I’ve been hearing about him as a diver, and being the current president of my alma mater I was looking forward to finally meet him. He arrived just as I getting dressed while talking with Sir Dodong on my latest dive trips. 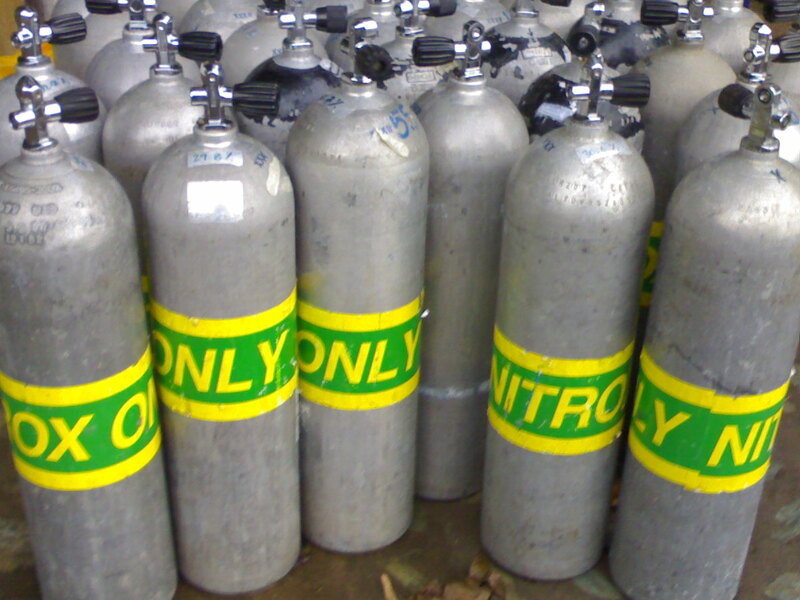 So, some kind of exclusive dive for the day. After some preliminaries, we speed off for our first descent at the house reef, one of my favourites. Banaug Shoal always excite me, it’s abundant marine biodiversity is probably one of the richest of my many encounters. The sergeants, damsels and snappers, which always come in throngs as you touched down on shoal’s top. They come near you as if wanting to be feed 🙂 , so near as you stretch your hands and sometimes so near your face! But I got a lot of whistles from Sir Dodong warning me not to go far away! The black corals, gorgonians, crinoids, colorful sponges decorated the shoal – being there felt like I was carousing in a colorlful garden. I tried to search the walls for some critters, spotted tiny nudis and hunt for unusual specie. I went around a little bit to search for critters – groupers, variety of anemonefish, trumpet, surgeons, anthias & more. Two big snappers keeps darting on us. I was surrounded with colourful reefs and then found a small alibuag. Indeed, it’s a paradise! We got back to the bouy line, I waited and searched for the moray eel and there it was! 🙂 Hidden under a reef, a white moray showing its head and gawking at me. 🙂 As if challenging me to come nearer… While watching in awe, Sir Dodong signalled for ascent – I still wanted to stay but pointing to my SPG, my air was down to 500psi. So slowly I ascend still watching the view below, our deepest was 32.9m for 43 minutes underwater. We went back to the diveshop for our surface interval, MSU-IIT students who were having their OWC was preparing for their exercises. 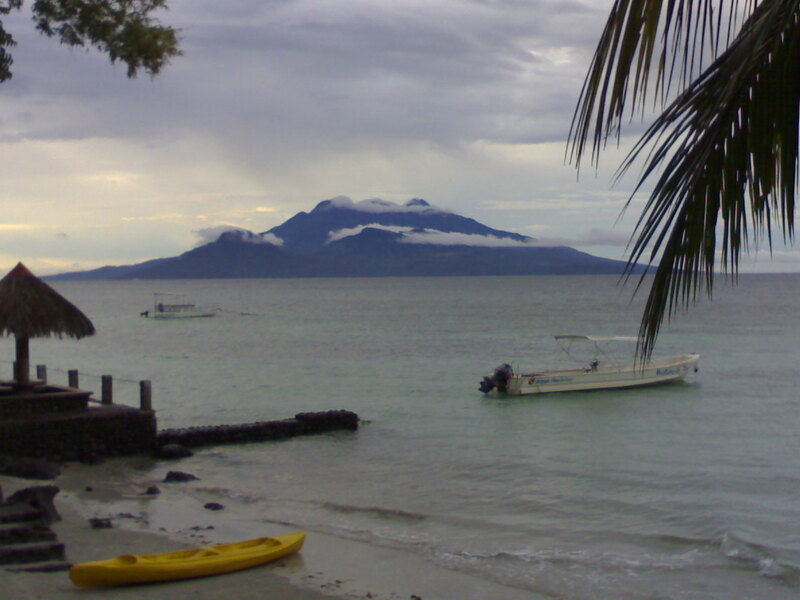 We left with them for our second dive to Sipaka Point on a speed boat and transferred to Seareyna for the cruise. Our second descent was a shallow one, as it was purposely for the students for their exercises. We explored sandy, wide coral gardens decorated with colourful crinoids, sponges and gorgonians. Spotted variety of nemos, sandperch, wrasses, fusiliers, small puffer, goatfish, triggers and long thin sea cucumber that looks like a snake! We found too crown of sea thorns, which I learned Fr. Young has personal hatred as he was been stung once. I was left with him while Sir Dodong were taking documentaries for the students. We covered a large area just going around, somewhere on a slope we stumbled a fishing line entangled among the reef, so we carefully untangled it and gather almost a 10 meter nylon line. I took delight in touching those critters on reefs that immediately hid and disappear from view. I remembered my diving lessons then. I picked up some trash and finally ascend after 64 mins with 17.5m as our deepest, far from the boat. Our lunch served as our surface interval for the last dive, we joined the students again on the dive boat. After a brief rest after lunch, we boarded the speed boat and separated from them heading for lowly Lapinig Island. It was almost 2pm and the surface was bit choppy, we descend on a sandy slope getting deeper. In awhile, Fr Young pointed out something which we barely got a glance from the elusive manta ray. I spotted a big puffer which I tried to follow but keep on wiggling away from me. 🙂 There were batfish, damsels, anthias, sweetlips and a variety of anemone fish. There were colourful crinoids – black and green feather star. There were sea fans too, I was most attracted to a lavender gorgonian! We searched for critters on sea fans, crevices and on corals. Lapining is a paradise beyond the surface, I remembered I had wonderful sightings when I had my lessons more than three years ago. 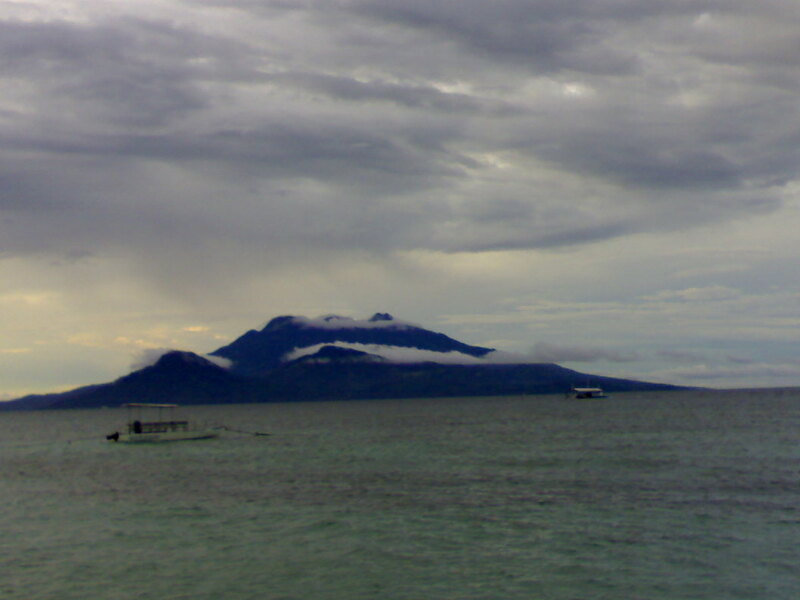 This lowly island which is hardly ever noticed by people cruising to Camiguin, has treasures beneath not everyone got the opportunity to view. We ascend after 56 minutes with 32.5m as our deepest. When I surfaced, the sight of the glorious Island Born of Fire right in front of me! ← CY 2011: Quo vadis, Mermaid?